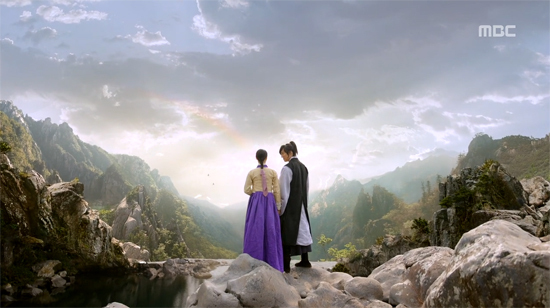 Kang Chi, the Beginning (Gu Family Book) started with heart-wrenching love story of Choi Kang Chi's (Lee Seung Gi) (the hero) parents, guardian of Mt Jiri Wol Ryung (Choi Jin Hyuk) & Seo Hwa (Lee Yoon Hee). 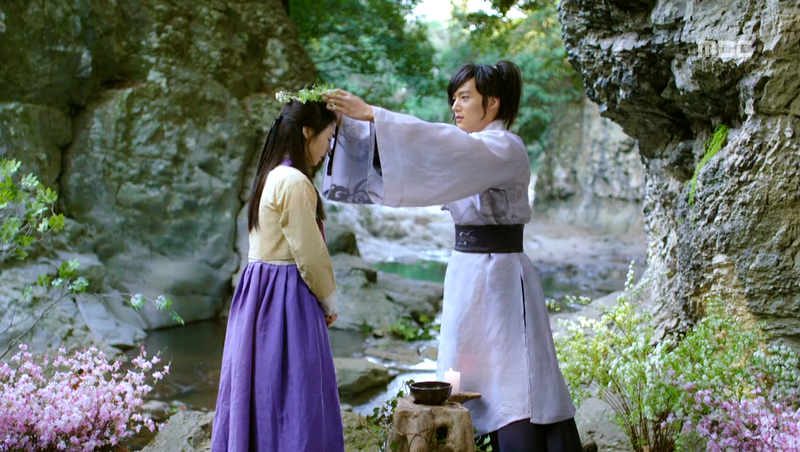 A forbidden love between a gumiho and a human who run away to the mountain as she didn't want to become a gisaeng & surrendered her virginity to the man (Jo Gwan Woong) who killed her own father. 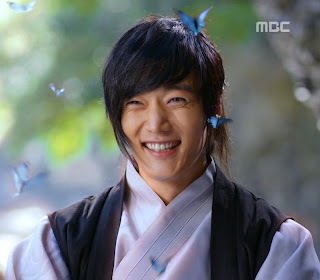 A smitten gumiho who saved a run-away slave; gave her a glimmering hope (although he had to lie to her that her brother & sister-like maid are safe), joy, love and warmth. This woman made his heart fluttered. For the last 1000 years, no one ever touched his heart like she did. If he obeys all three rules above for 100 days, he will discover the sacred Gu Family Book (no-one ever saw this book before, simply because no-one has successfully completed these rules). 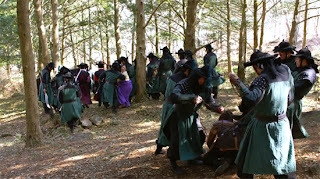 Wol Ryung gave his all to Seo Hwa. But, he lied to her. He never told her that he's a gumiho. He lied that her brother & sister-like maid are safe. Lies can make / break any relationship. Unfortunately, this drama decided to break Wol Ryung & Seo Hwa's marriage and broke the viewers' heart! Wol Ryung only had few more days before he completed his 100 days; but evil Jo Gwan Woong never gave up and still looked for this gumiho (although he has his personal motive: to capture Seo Hwa). In the end, Dam Pyung Joon found out about Wol Ryung's magic (I prefer to call it as "magic" hehe), when he wrapped himself with leaves to protect Seo Hwa & himself. Then, when he tried to run away from Dam Pyung Joon's troops, they run into a trap (T__T). 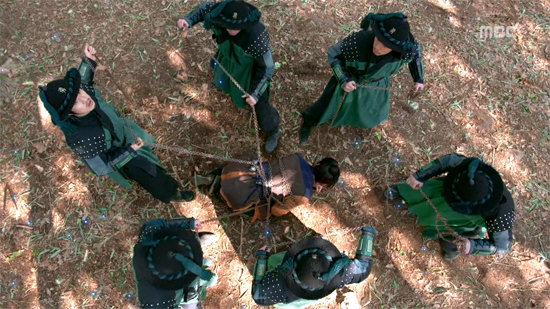 As they dragged Seo Hwa away from him, and chained him; he was conflicted. He knew he couldn't show his power, but he would always help anyone who ask for help. In this case, his wife was screaming for him to help her. 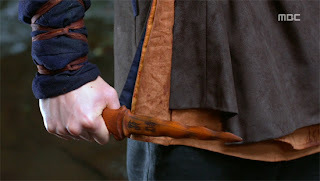 But on the other hand, he would break the rule if he showed his power. In the end, he couldn't hold it any longer and transformed into a gumiho - in front of everyone and his wife who stood there, frozen, couldn't believe that the man who gave her hope, love, joy; transformed into a monster. 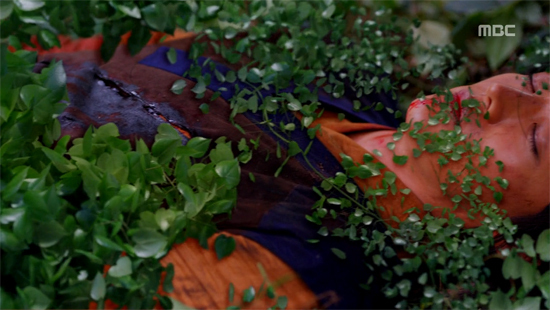 Seo Hwa was safe, so did Wol Ryung (but he's badly injured.. T__T). He repeatedly apologized to Seo Hwa, but she didn't care T__T She's scared, upset, felt betrayed. She froze as her husband collapsed in front of her. 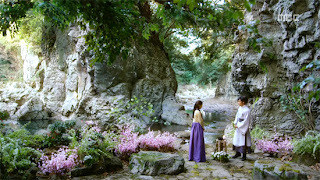 Seo Hwa decided to turn herself to the enemy; and escorted them to Moonlight Garden, the place where she shared many beautiful moments with Wol Ryung. 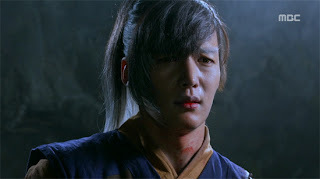 Dam Pyung Joon stabbed him with a sword; and bom, he disappeared from the woman who he really loved, forever. 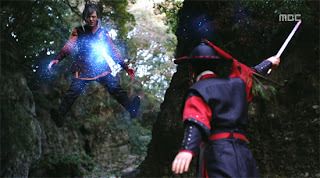 I believe that Wol Ryung is alive! But whether or not he becomes a demon for thousand years is a mystery. 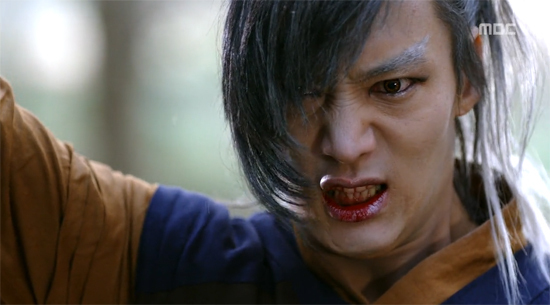 Seo Hwa, who's pregnant with Wol Ryung's child; tried to abort the baby as she thought the baby would be a monster. But the baby's growing healthily inside her womb. She decided to go back to the Moonlight Garden, and gave birth there. 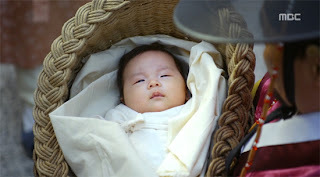 Thankfully, the baby is not a monster; he's a really cute baby boy, Choi Kang Chi. As Wol Ryung & Seo Hwa journey ends, Choi Kang Chi's journey will begin. Will he face the same fate as his father? Will he ever find a woman who can understand his struggle & can stay by his-side although he's half gumiho? I hope so!